Aroma Fresca is a 1* Italian restaurant located in the swanky Ginza district of Tokyo, located high up in the Ginza Trecious building. 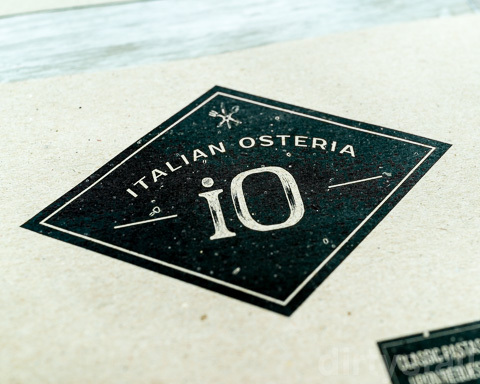 Having returned from Italy recently, my interest was piqued when a friend recommended this excellent new Italian place she just tried, aptly named the Italian Osteria. The name Gran Ristoro roughly means “Grand Restaurant” and although the actual place is pretty small, it’s grand enough in what it offers! Antica Sa Pesta originally started in 1882 as a place that sold salt, as its name referred to a traditional method (sa pesta) of breaking up salt into smaller grains by pounding it with a pestle and mortar. Situated in a narrow alley off Via Torino in Milan, Nerino Dieci takes its name from that very alley itself, Via Nerino. Osteria Anice Stellato is one osteria that’s located in the far-flung edges of Venice, over in the sestiere of Cannaregio. This is probably why there’s not many tourists that make their way here. Trattoria Alla Madonna is a pretty famous Venetian restaurant that’s probably in most guidebooks that you read about Venice.